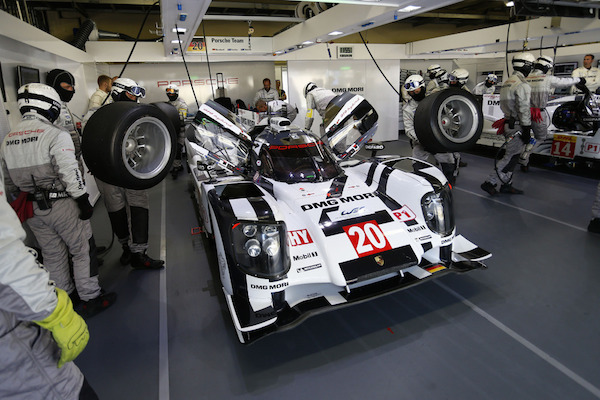 The Porsche Team claimed their first victory with the Porsche 919 Hybrid in the final race of the 2014 FIA World Endurance Championship in São Paulo. 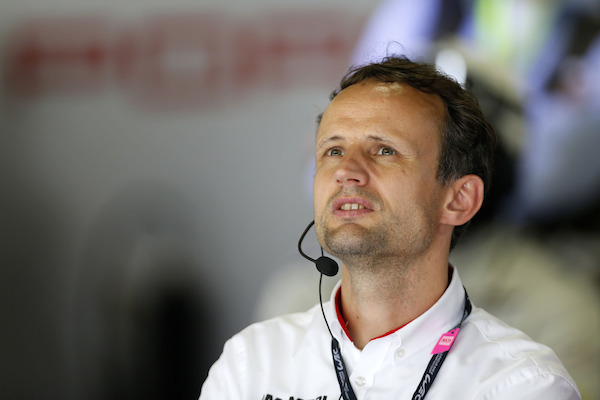 Romain Dumas, Neel Jani and Marc Lieb drove the No. 14 919 Hybrid LMP1 car to the top of the podium in Brazil. As exciting as the win was, some of the celebration was toned down due to an incredibly heavy accident in the No. 20 car with Mark Webber at the wheel. The Australian, who shares the Le Mans Prototype with Timo Bernhard and Brendon Hartley, crashed heavily into the barriers at the fast last turn of the lap. He was in sixth position. The initial information the team received from the medical center at the track was that he was not badly injured. However, he was transferred to a hospital in São Paul for further checks under and abundance of caution. The race finished behind the safety car with Neel Jani at the wheel of the winning Porsche. Drama and glory from Porsche AG on Vimeo. Lieb started the race from P2, but lost one place to a Toyota on lap one. Lieb remained in the car, fighting for position the whole way, for 37 laps. When he handed the car over to Jani Porsche was still in third place. Janie continued the attack on Toyota, swapping positions, however when Jani handed over to Dumas after 76 laps Porsce was still third. Dumas' chance to pass came when the Toyota had contact with another car on lap 88. Then, on lap 105 Dumas had to pit early because of a right rear tire puncture. Lieb got back behind the wheel and took the lead after 119 laps when the sister car suffered problems. Lieb pitted after 144 laps to hand the car back to Dumas. After 183 laps Jani took over with the car lying second. At his final pit stop, after 222 laps, Jani stayed in the Porsche taking the risk not to change tires in an effort to save time. The risk paid off! Neel Jani (30, Switzerland): “This was a tough race – every lap in qualifying mode and good battles with the number 8 Toyota. That it worked out in the end is almost unbelievable. 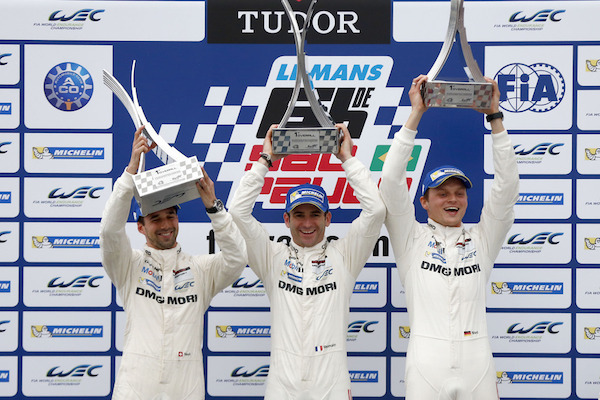 Together with Romain and Marc we achieved the first pole position for the 919 Hybrid and now the first win. To me this was a dream season. The next dream would be to win the World Championship and to take Le Mans. We hope this is what the future brings. We are now even third in the drivers’ championship – who would have believed that? Starting from pole position, Bernhard was leading by 12 seconds when he handed over to Webber after 38 laps. Webber stayed in the lead of the race, despite some trouble in traffic, and handed over to Hartley at the end of lap 79. Unfortunately, an unidentified engine problem cost engine power. After 119 laps Hartley handed the Porsche back to Bernhard, who continued in third. During a full course yellow, after 153 laps ,Hartley got behind the wheel again. With the No. 20 Porsche now in sixth place, Webber took over again after 1093 laps. He had his last pit stop after 227 laps and then an incredibly heavy crash in the fast last corner of the track when the race was on its 239th lap with less than half an hour to go. 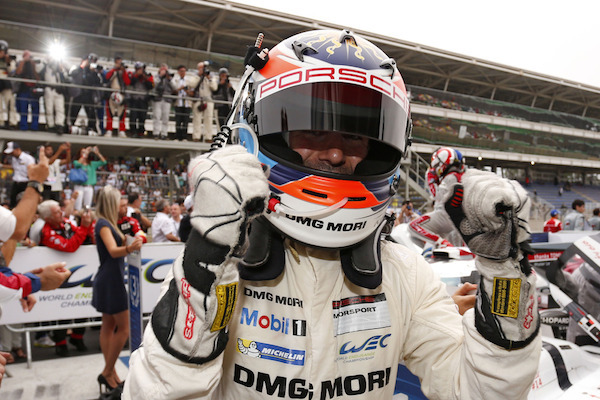 Update: Porsche provided updated information on Mark Webber's condition this morning. Porsche Signs F1 Driver Nico Hülkenberg for 2015 Le Mans. Who’s Next?